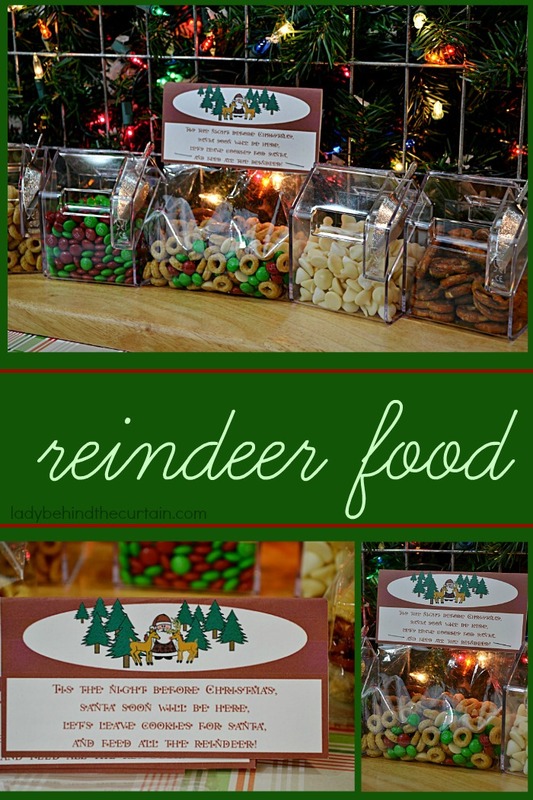 Reindeer Food | A fun activity to do with the kids on Christmas Eve. 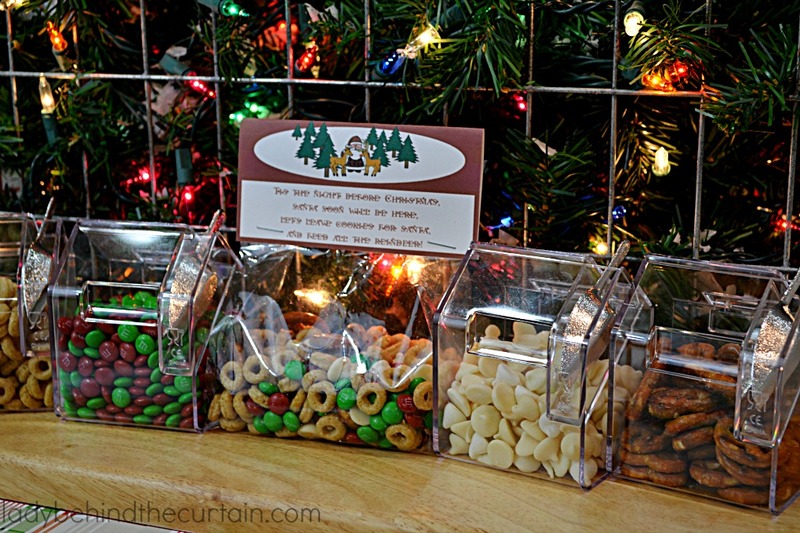 Gather any snack items you have, put them in bowls or fun containers (I found mine at Cost Plus), print out the topper and let the kids fill the bags (I used party favor bags but you can use baggies if that’s all you have) Staple or tape the topper to the filled bags and sit along side Santa’s cookies. This is a wonderful activity for all the family members! Here is the Reindeer Food Topper. 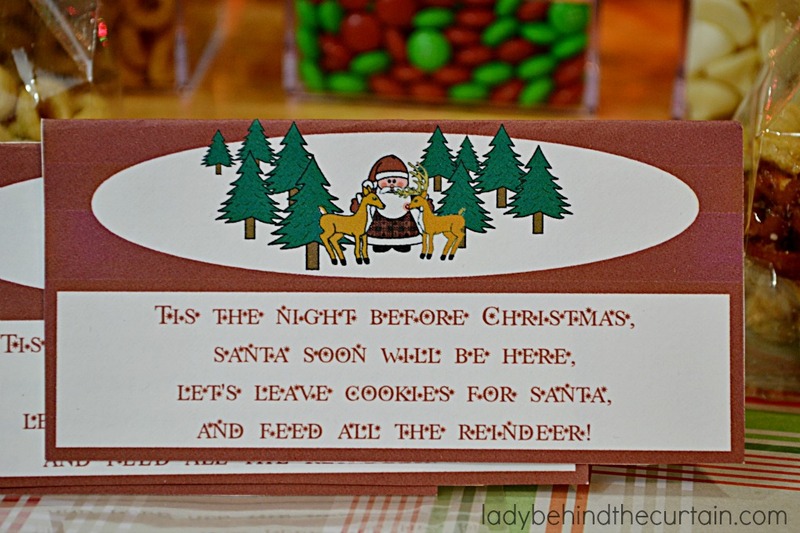 This is such a cute idea, Sheryl! I know my daughter will love it in a few years. Oh how I love this!! Totally doing this for my sons class. Thank you for sharing. WooHoo! That’s so cool Donna! 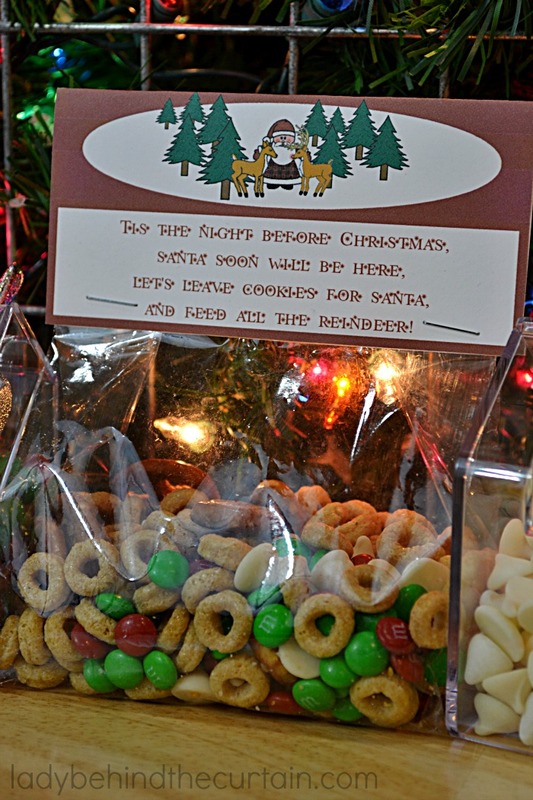 Thanks so much Sheryl, a great alternative to many other reindeer food ideas!